The new HDS designed Primary Care Center is based on the Patient-Centered Medical Home Model (PCMH) of healthcare delivery. Four patient care teams, including physicians, residents, nurses and support staff are centrally located in individual "pods" surrounded by exam and procedure rooms. 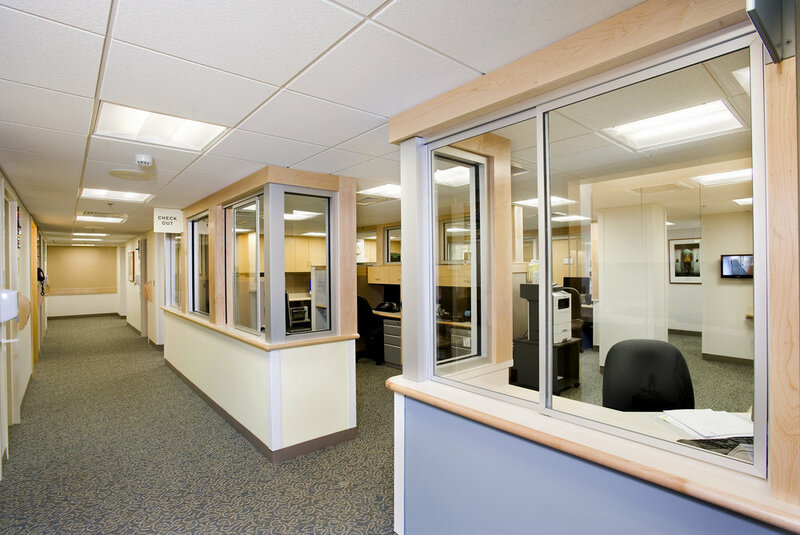 The physical layout and transparency provides efficient team communication and enhanced patient care. The total expanded space includes 20 exam rooms and procedure rooms.